Note: The entire Screenshots section requires major reorganization. 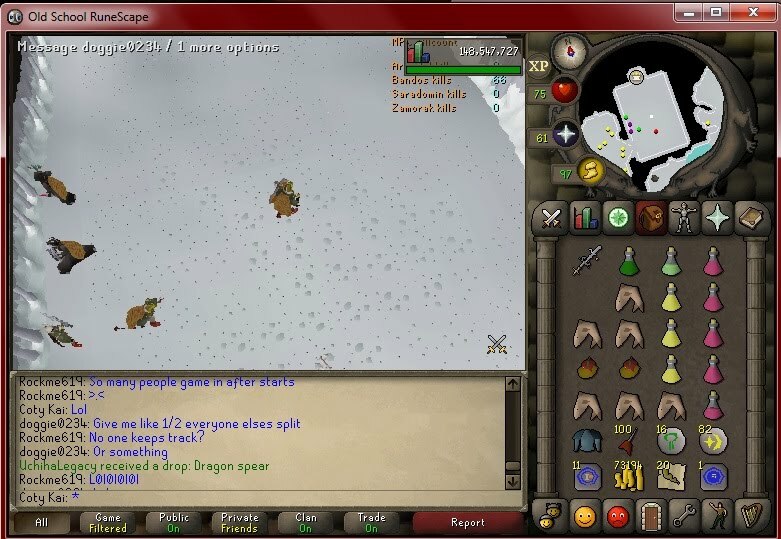 09/07/2015 - snowie got a Pet Dagganoth Prime! 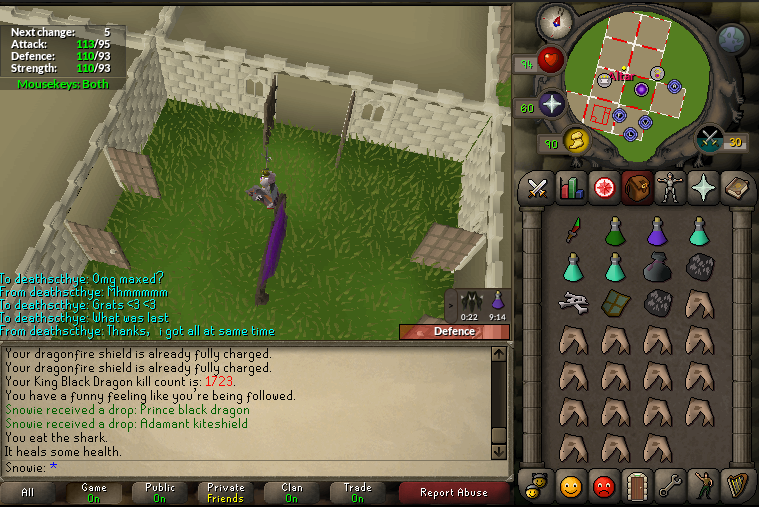 -07/25/2015 This was one of the most successful events in the history of Nomad's Light! 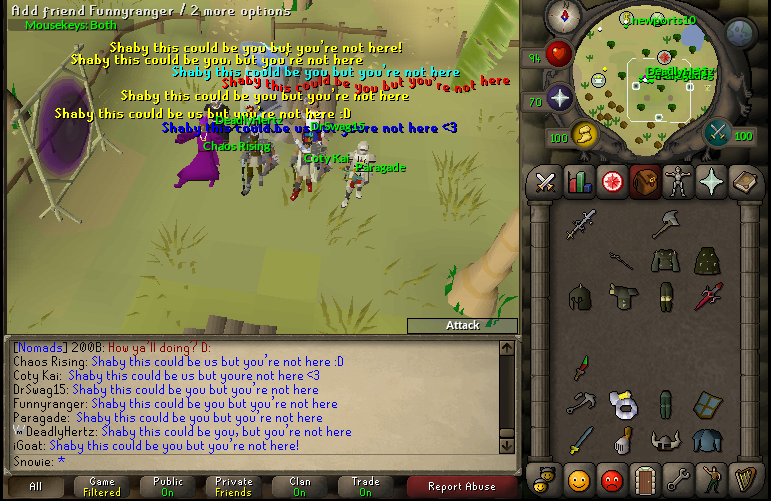 Starting as an improvised clan-wars event in the host's (shaby) absence, we threw together an event and did our best. At 12 members in total joining us, we hung out for over 2 hours in FFA and team-clan wars. We had to get a screenshot and this is what we came up with. 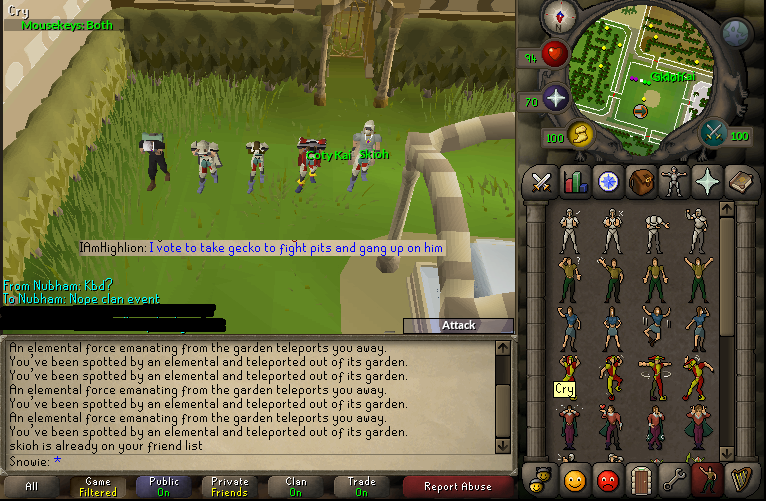 -07/26/2015 We somehow managed to endure a grueling hour of sorceress's garden. Gecko had initially planned the event but mysteriously disappeared, leaving Snowie to host it. This screenshot says all we need to say about the event. 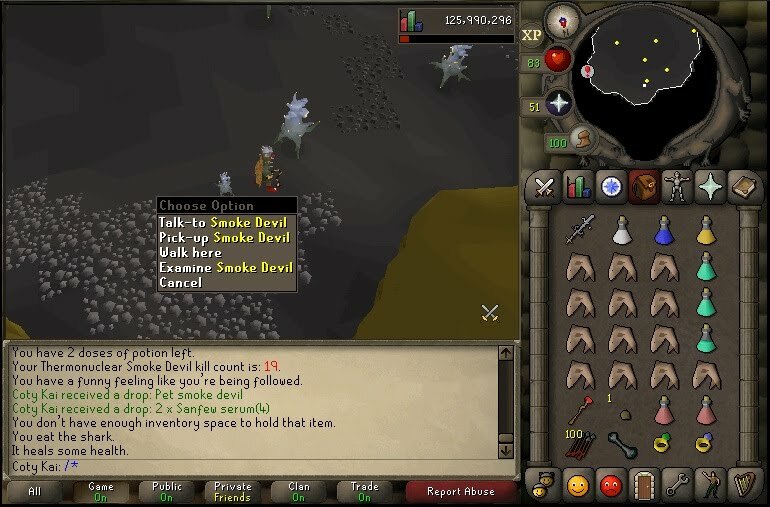 On Kill count 2,538 Coty Kai finally got a pet smoke devil. 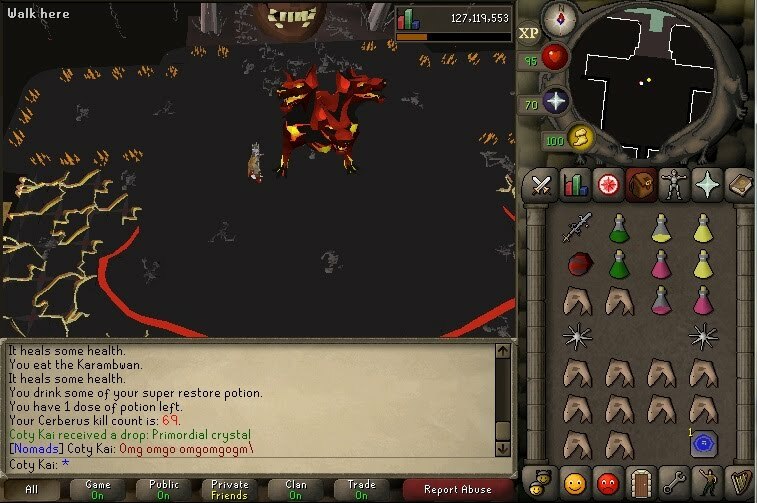 3 days after release, Coty kai got one of the Rare crystals from Cerberus.